WARNING: There are massive spoilers ahead for Justice League Annual #1, which is out in comic stores today. Don’t continue with this post until after you read it! This week, writers Scott Snyder and James Tynion are uniting with artist Daniel Sampere in Justice League Annual #1; with Juan Albarran, Adriano Lucas, and Tom Napolitano rounding out the creative team. While many annuals are standalone tales that don’t play into the ongoing stories, Justice League Annual #1 is bucking that trend. It’s following up on Dark Nights: Metal, the story where the Source Wall was breached. The Justice League had a plan to fix it, but let’s just say that it doesn’t go well. In fact, it’s been a long time since the heroes have failed this badly. 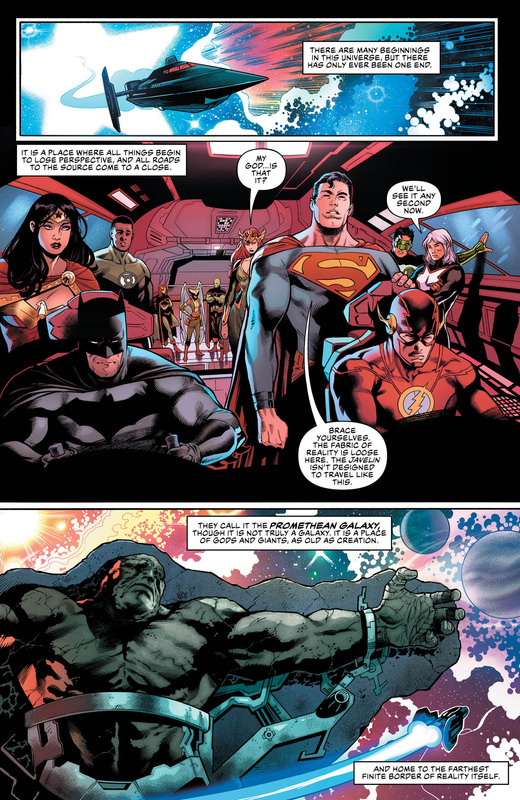 Recently, Superhero Hype had a chance to speak with Snyder and Tynion about Justice League Annual #1. According to Snyder, this issue is setting up some dark times ahead. That cosmic figure in question is named Perpetua, the ancient being who was held captive behind the Source Wall…until now. Snyder also shared some insight into Perpetua, and her connection to a few of DC’s other cosmic icons. Perpetua’s return wasn’t the only surprise of the issue. As seen above, the Martian Manhunter and Hawkgirl shared an unexpectedly romantic moment. “We see that come to a head in this issue,” added Tynion. “We’re going to see more ramifications of the kiss that happened in the annual as it plays out over the next year. And how each of them feel about it. 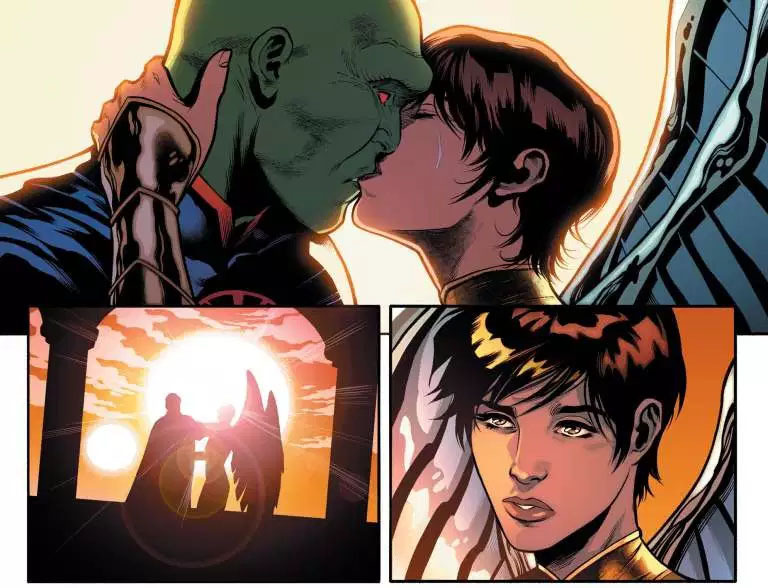 J’onn is still mourning the loss of of his wife on Mars, Kendra has the whole complicated history with all of the different iterations of Carter Hall [Hawkman].” Tynion also noted that the impending end of the multiverse will give both J’onn and Kendra a chance to explore those feelings. 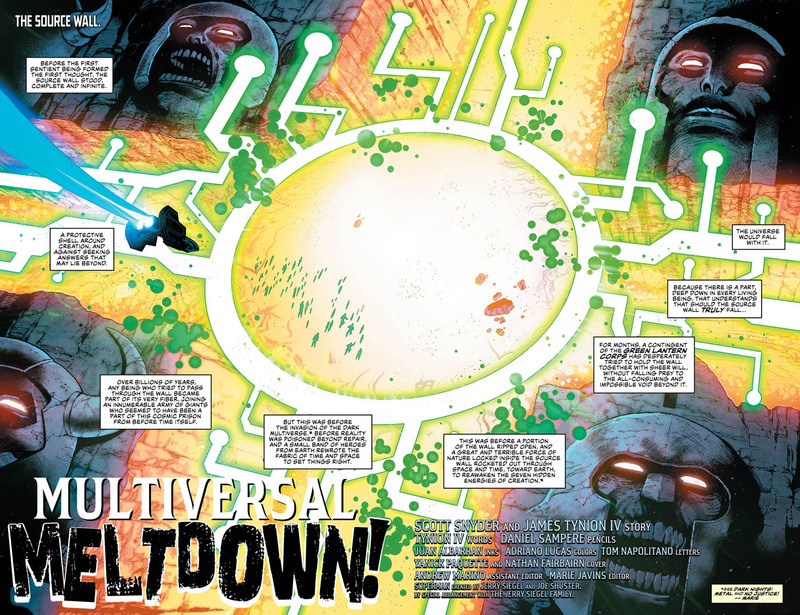 Snyder acknowledged that the destruction of the multiverse may lead to a new DC event. However, he declined to offer specific details. 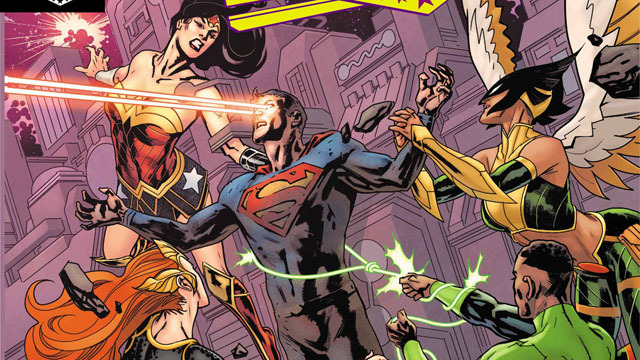 In the immediate future, next week’s Justice League #17 will be an epilogue to the disastrous events of the annual. 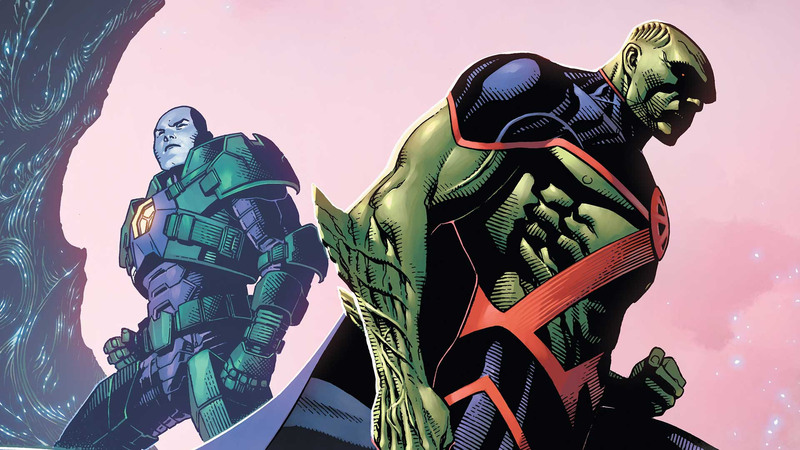 In this one-off tale, Martian Manhunter and Lex Luthor meet to negotiate and share intel. Justice League Annual #1 is out now, while Justice League #17 will be released on Wednesday, February 5. Are you excited by the latest developments in the DC Universe? Let us know in the comment section below!